Hayao Miyazaki is a film artist who has created some amazing animated films for Studio Ghibli in Japan. (Some of my favorites include "Spirited Away" and "My Neighbor Totoro".) He also has created one of my all-time favorite museum manifestos, which I think is worth revisiting from time to time. 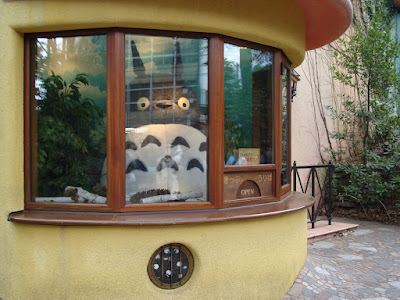 To capture some of the spirit and history of the films and the film studio, there is a Ghibli Museum in Mitaka, Japan. I've haven't had the pleasure of visiting the Ghibli Museum in person (yet!) but as I was perusing the Ghibli Museum website, I noticed a link to "A Few Words from Executive Director Hayao Miyazaki"on the home page. The Link leads to a mini manifesto from Director Miyazaki entitled, "This is the Kind of Museum I Want to Make!" Personally, his words make me want to visit the Ghibli Museum even more now! And Director Miyazaki's mini manifesto also begs a question: What sort of message to visitors does your Executive Director post on your Museum's website?